Note from Darlene: A trip to any big box retailer isn’t complete without stopping by the chip/candy/cookie aisle. The choices of overwhelming. Here’s Paul’s take on the trend. I have a pretty good memory when it comes to random consumerism, especially from my youth. I can still recite commercial jingles long-since mothballed and recall packaging and product design from the days of Ford, Carter and Reagan. I guess I’m a living testament to the ad execs (who’ve all likely retired by now) who put their faith in hooking kids with their products. As I think back 30-40 years, I kind of long for the days when you had one or two choices for a particular product. Now there are so many choices — TOO many choices — that it makes my head spin. 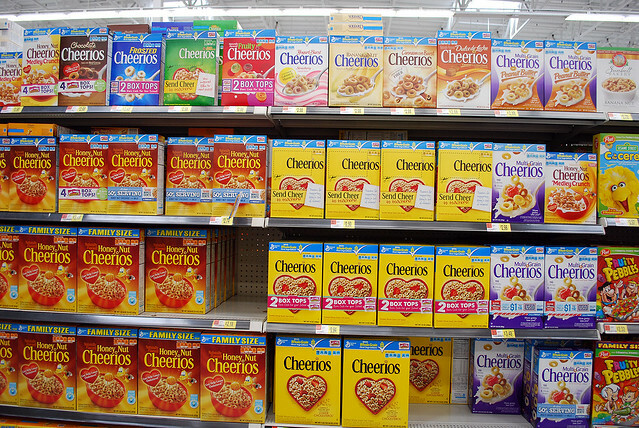 When I was growing up, there was exactly one variety of Cheerios. It was called “Cheerios” and it was Cheerios-flavored. This nonsense isn’t limited to Cheerios. Cap’n Crunch used to have three flavors: Cap’n Crunch, Crunch Berries and Peanut Butter Crunch. In the 1980s they came up with Choco Crunch, and it was largely inedible. A recent pass through the cereal aisle rewarded me with “Oops! All-Berries!” (not especially new), Cinnamon Roll Crunch, Chocolately Crunch and Halloween Crunch. 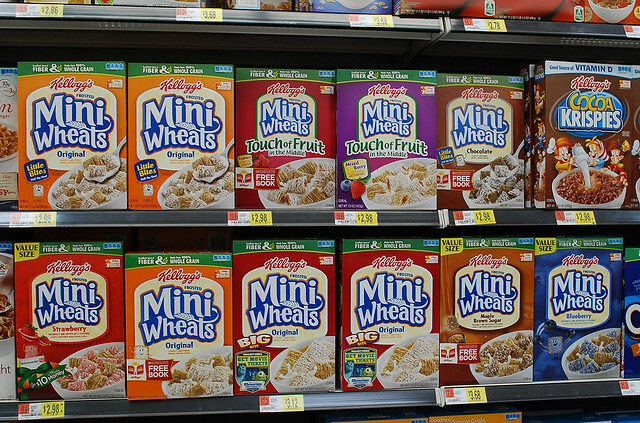 Life cereal has several varieties now (besides original and Cinnamon), as do Frosted Mini-Wheats. Doritos had two flavors: Nacho Cheese and Taco. Cool Ranch was a welcome addition (actually, didn’t it replace the Taco flavor? ), but now Doritos is becoming dangerously close to being absurd. 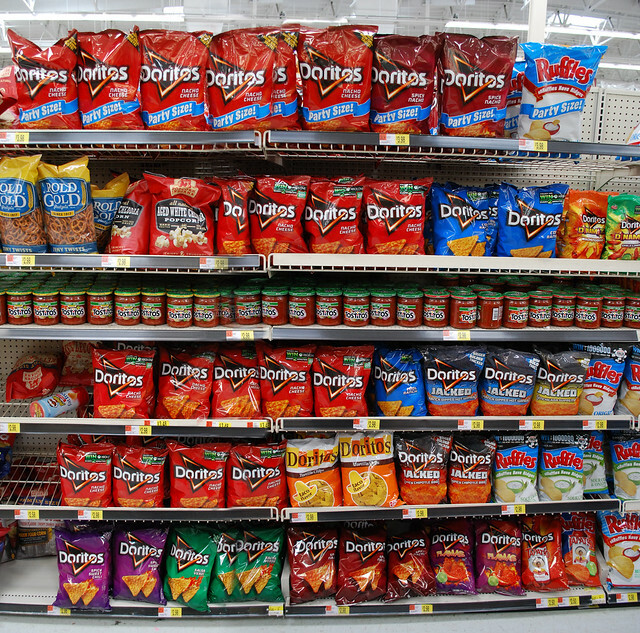 Do we really need “Spicy Chipotle,” “Salsa Verde” and “Enchillada Supreme” Doritos? And don’t even get me started on Lay’s, who have made a contest out of expanding their flavor catalog. I noticed that it’s become somewhat of a thing to search, collect and consume the limited edition flavors. Damn you, Lay’s. We had three or four choices for toothpaste when I was growing up. You got Colgate, Crest, Aqua-Fresh or one of those other brands. Have you tried to pick out a Colgate lately? I crap you not, there has to be two dozen subtle variations, each custom-tailored to your exact dental needs. I think I want *let me see here, reading my list* Sparkling white, Pro-shield, Total, Total Advanced, Max Clean, Max Fresh, Optic White, Sensitive, prevents enamel erosion, reduces gingivitis, triple-action, promotes shine, has stain defense, is anti-cavity, strengthens dentine, has scrubbing bubbles…. Apparently you can only get any three of these in one toothpaste, so choose well. 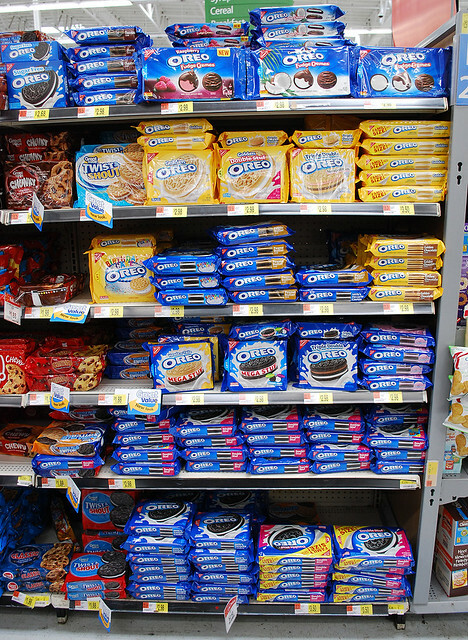 Oreos might be the biggest offender in the cookie aisle. When I was short, we had Oreos and — eventually — Oreos with Double Stuff. Recent flavor remixes include watermelon, candy corn and — you guessed it — pumpkin spice. There’s not enough time or room to list variations here. Some products have always had a wide selection of flavors and varieties at least for as long as I can remember. Pop-Tarts. Campbell’s soups. Ice cream. Jelly beans. Instant oatmeal. Off-brand soda. And that’s fine. Actually, that’s to be expected. It’d be a sad day if there were only Strawberry Pop-Tarts. I give props to the General Mills. Their line of three Monster Cereals — Count Chocula, Frankenberry and Boo-Berry — ballooned up to five in the 1970s with the addition of Fruit Brute and Yummy Mummy, and have since scaled back their line to be seasonally active around Halloween. I get it. Market saturation. Shelf dominance. Brand warfare. Squeeze out your competitors. And I guess it works. I’ve tried many a variant. Some are pretty good, but most are awful. Devo’s “Freedom of Choice” rings true when you consider all the options today. So I hope you enjoy your frosted chipotle and pumpkin-spiced everything. I’ve hit overload and I’m gonna start brushing my teeth with a stick. This is a great post Paul! There are waaaay too many choices in the candy/snack aisles nowadays. I didn’t realize there were that many mind boggling flavors of Cheerio’s. I miss the good ole days of just three Doritos flavors too. Taco used to be a favorite flavor until they got rid of it but now I see it’s come back (complete with retro packaging). For toothpaste, our family always got Crest but me and the siblings always clamored for the “fancy” toothpaste, Aquafresh, because “it had three colors”! Ha ha. I really hate shopping for toothpaste. I don’t want toothwhitening crap in it (I like my yellow teeth, thank you verrrymuch) since it ends up scratching the enamel. 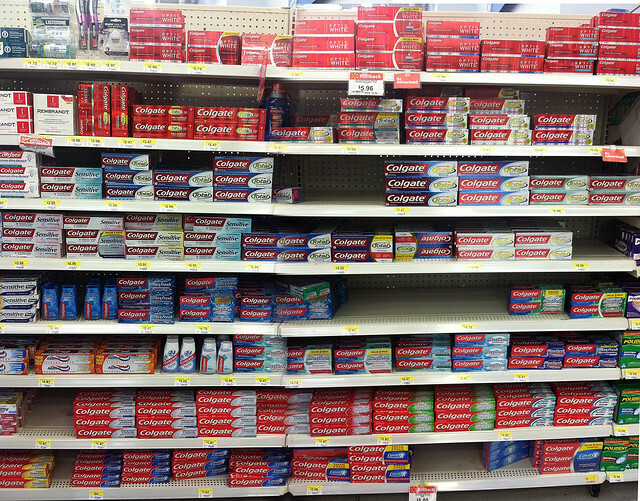 It’s so hard to pick a simple and normal toothpaste. I’m guessing you enjoyed “Garbage Pail Kids” cards?